BBL Cup action returned to Newton Aycliffe on Saturday night as Durham Wildcats fought back from 15 points down to secure a three-point victory over Cheshire Phoenix. The result takes Coach Davie’s team through to the 2nd round of the competition for the first time in their short BBL history. 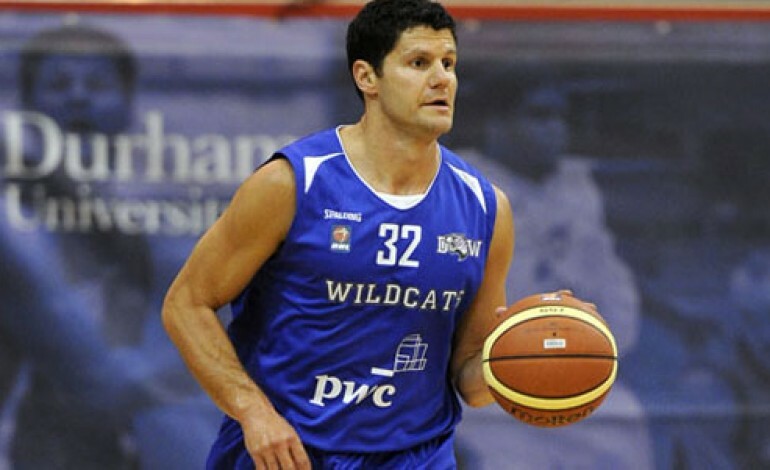 The Wildcats have looked a much improved team under their new head coach who takes his record to three wins from four games following wins against London Lions and Surrey United in recent weeks. Durham started Saturdays game strongly in front of an energetic home crowd with an Attah 3-pointer within 60 seconds followed by a second basket without reply. Cheshire soon settled into their stride with an equally impressive 3-point shooting display lead by new signing Kai Williams. Both teams continued to trade baskets for the rest of the first quarter but it was the visitor who took the momentum into the first break leading by 28 points to 21. Cheshire quickly increased their lead to double digits with only a minute gone on the clock in the second. Coach Davie reacted by turning to his bench for the first time in the game with the introduction of guard RJ Evans injecting some much needed energy into the home team. However, a big 3 pointer by Captain Ralph Bucci was quickly cancelled out by two successful attempts from outside the arc by Cheshire’s Reggie Middleton who led his team into the dressing room at half time leading the game by 11. The second half of the game started slowly with both teams failing to find their feet after the interval. With 15 minutes left in the tie, it was the visitors that still led by double figures. Coach Davie reintroduced point-guard Devin Ginty into the game with 5 minutes left in the third, and his two quick fire 3-pointers soon reinvigorated the home crowd. Huffor and Evans continued to make key baskets, and a Phoenix turnover resulting in an Attah dunk with 60 seconds left in the quarter completed the Wildcats comeback. A phoenix basket on the buzzer meant it was the visitors who took the lead into the final break, although momentum appeared to be very much with the home team. Nerves appeared to creep in for both teams in the early stages of the final quarter as baskets were becoming hard to find. A 3 point play by Odiba Attah, quickly followed by a Danny Huffor lay-up, finally gave the Wildcats a decisive lead with just 6.40 left on the game clock. However the visitors were not done yet, as Victor Moses pulled his team back into the contest with a quick fire double, and when Reggie Middleton hit a two pointer to take him to 25 points for the night, the game was level once more with less than 5 minutes remaining. A basket from RJ Evans followed by a big defensive rebound by Mike Allison, allowed Attah to breakaway for a dunk that brought the home crowd to their feet. Devin Ginty held his nerve at the free throw line to convert his two chances and extend the Wildcats lead to 6 points with just 90 seconds left in the game. Williams and Middleton both missed 3 point attempts in the final stages for the visitors, and when Coleman finally did convert from outside the arc with seconds remaining, it came too late for Cheshire as the buzzer soon followed with the Wildcats taking the victory 78-75. Speaking after the game, Coach Davie was thrilled to be progressing to the next round of the cup. “It feels great to have got the win,” he said. Kirk Crecco added: “I’m delighted to get the win, we started off a little sluggish but then gained a bit of composure. We really led on a comeback and stepped up our defence. It’s exciting to get through to the next stage and we are confident we can go even further in this competition”. Durham Wildcats will travel to either Sheffield Sharks or London Lions in the second round of the Cup; the winner of this 1st round tie will be decided in Sheffield in a fortnight’s time. Coach Davie’s team return to BBL League action next week with a double header away trip to Sheffield on Friday, followed by the longest trip in the league to Plymouth on Sunday afternoon. The Wildcats are next in action at Newton Aycliffe on Sunday November 3rd, where BBL Champions Leicester Riders will provide the opposition, tip-off is 4pm.